Okay. Here's how the game goes. I will start off by posting a gif of a character saying something. You guess what they are saying. The person who gets it right will post the next gif. Fair enough? What's up? Does no one know the answer, or does no one know how to create GIF's? Trick question: She isn't saying anything, she's sighing. Yep, yep, yep you got it right! Now post another GIF if you know how. If you don't, PM me for details on how to create GIF's. Also, I forgot to mention that you have a 24 hour deadline to create and post the next GIF after I confirm your answer is correct. If there is no response from you in 24 hours, I or someone else will post another GIF. I have to do this because otherwise, people will take a month to post a GIF and that's no fun. We need to keep this thread running and interesting. Well times up! Since no one is posting another GIF, I will take the liberty. 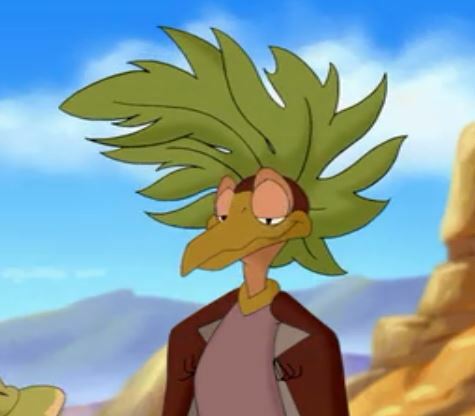 What is Petrie saying here? Oh, by the way, if you have no intention of posting another GIF, just say so. It will help speed the process and give others the chance to post a GIF if they want. A tip: if the animation is moving too fast, simply right click on the image and download it. It's only like 500k and you can always delete it later. GIF images move extremely fast in internet explorer but if you download it and open it, it will play it at normal speed. Whoops, forgot about this. Sorry. And I dunno what he's saying. Okay. Here's a hint. 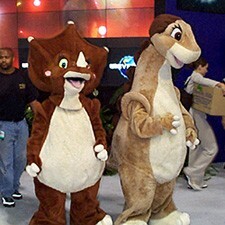 It's from lbt 10 and petrie is talking to pat. I had to watch the show to find this out, i knew he was talking to pat about the night/great circle myth, but couldn't remember exactly what they said. Anyway he says "jealous why?" (Posting gifs is not as easy as it may seem....and they're not easy to create unless you have a full-fledged image editor that can work with them). Yay! You can post the next GIF for me lbtlover if you want. I don't know how and it would take far too long to do it. Okay. I'll make one. Probably have it up by 5pm tomorrow! Well flathead answered your question. Most people do not know how to make ani gifs and unless you have LBT dvds and the right software, you won't be making LBT related ones. Okay then. I will make the GIF's from now on if they don't want to. I can't do it now though. I'm in school. I don't want other people seeing me making LBT GIF's! That would ruin my reputation for sure! What is Cera saying here? Without actually checking, I'm going for the obvious choice: "I know." Hint: it's from lbt 10 again. She said it to ducky. Have You Seen This LBT Game?